Learning Books for Kids - What Makes a Learning Book Exceptional? Can Learning Books for Kids be Extraordinary, Empowering and Unusual? What extraordinary, unusual learning books for kids lead to success? Why do kids love reading unusual childrens educational books? Books that are creative and encourage kid's creative expression are often extraordinary and empowering. Kids love to discover and explore whole new worlds. They're not limited by preconceived ideas of what is real and what is fantasy; their imaginations love to roam wild, to explore new possibilities. Unusual, extraordinary books affect kids in special ways and oftentimeshave a lifelong positive influence. Finding kids books online and educational kids books that challenge your child can sometimes be difficult. Unless of course you have a children's book author to help you out. I'll suggest learning books for kids that I've read, that come highly recommended, or that I find information about online and the books seem exceptional. (I apologize ahead of time if I'm wrong about a few recommendations). One outstanding source of extraordinary good books for kids, which are also kids books on line, can be found at educational books for children. I haven't read these kids books about important themes, but they come recommended. The best of childrens education has resources you'll benefit from. What types of kids learning books are you searching for? Here's a list compiled by a Library that contains outstanding environmental books for kids. Do you want kids books that entertain or educate? That inspire and leave your child hungering for more? Do you want books for yourself to help with child behavior problems? drawing books for kids? (Sample pages for kids to draw). What makes learning books for kids extraordinary and unusual so they remember them for life? Educational kids books that employ whole language learning sink into the child's consciousness. As she partakes in reading, drawing, discussing, and writing activities and exercises, geared towards both sides of her expanding brain, the learning is synergistic, like when 2 + 2 is greater than 4. 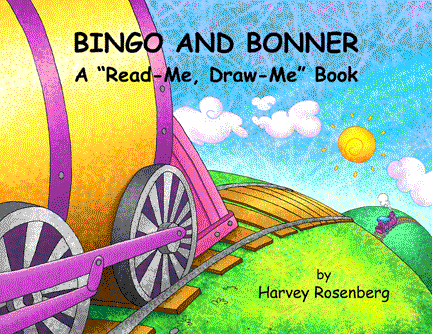 The above link offers sample reading and drawing activities from a story about the true meaning of friendship, Bingo and Bonner, A Read-Me, Draw-Me Book. Following are sample writing, drawing, reflecting and discussing pages covering the extraordinary character traits forgiveness, acceptance, and love. This Friendship Unit Study generates lots of discussion between kids and their parents about making and keeping friends. The information on Learning Books for Kids belongs to Childrens Educational Books.